SCVHistory.com NP6103 | Pico Canyon | Pico No. 4, 1961. Pico No. 4 oil well, 1961. National Park Service photograph. Tucked against a hillside with its "back" to the viewer, this nondescript little pumper doesn't look like much. But looks can be deceiving. The adjacent plaque correctly identifies it as Pico (California Star Oil) No. 4, the first commercially productive oil well in the Western United States. The well was fitted with a big wooden derrick when Alex Mentry dug it in 1876, but over the years, wooden derricks gave way to more modern grasshopper-style rigs. Except when it was temporarily shut down for a few months at a time, Pico No. 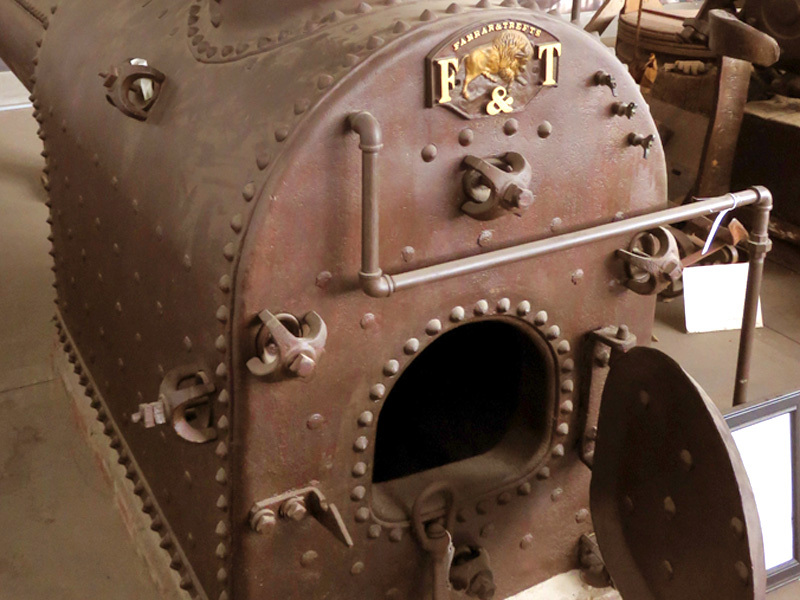 4 remained in operation until 1990. Pico No. 4  actually "Well No. 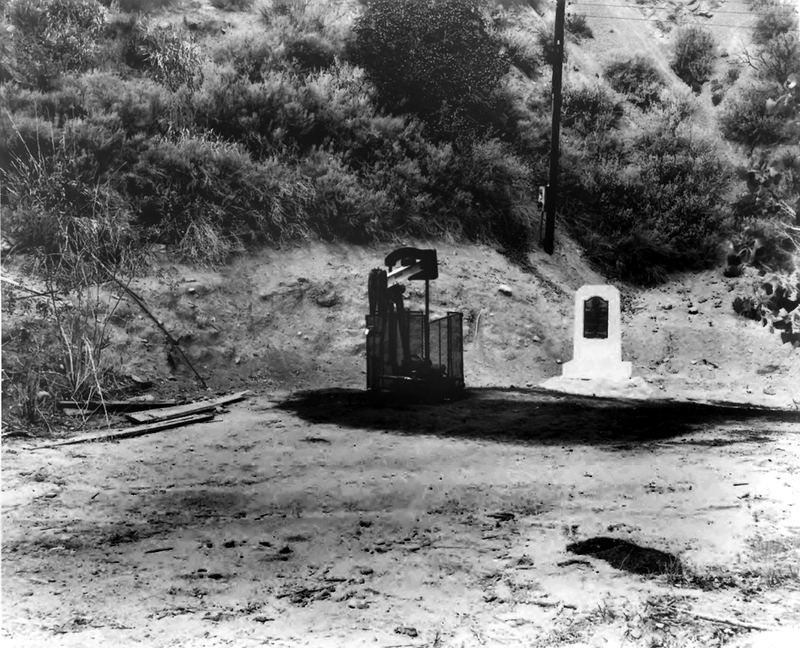 4, Pico Canyon Oil Field"  was listed as a National Historic Landmark on Nov. 13, 1966. 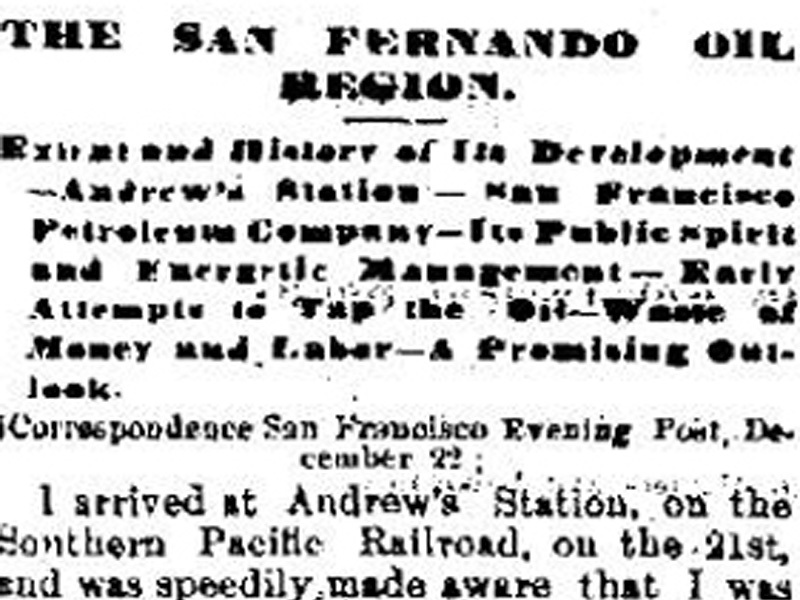 The listing states: "Drilled in 1876 to 376 feet (115 m), this was the first commercially successful oil well in California, producing 25 barrels a day (4 m³/d)."